The etiquette class of this month was on the topic of South Korea! Lately in the 21st century, South Korea has been gaining popularity through its internationally recognized brands such as Samsung, Kia, Hyundai, and LG, K-POP (Korean pop music), and as well as Taekwondo. However, as important as these are, they cannot define South Korea. So through this month's etiquette class, the TKC Family was able to look at South Korea from a different perspective. With Master James' explanation, we were able to learn about different kinds of Korean traditional art and music, development of the Korean language, popular cities and islands, and so on. There even was Korean food 비빔밥 (Bibimbap), 잡채 (Japchae), and 초코파이 (Choco Pie) for all to try. 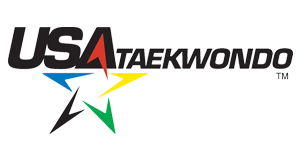 Our hope is that one day, we will have a TKC Family-wide trip to South Korea, submerging ourselves in the heart and origin of Taekwondo.